You’re wading through a thread of online comments when you realize that you’re being inundated with terminology you don’t quite get. As one of the not-formally-trained, you really want to understand what’s under discussion but the use of certain words either leaves you in the dust or leaves you scrambling to secondary sources to see what’s at stake. 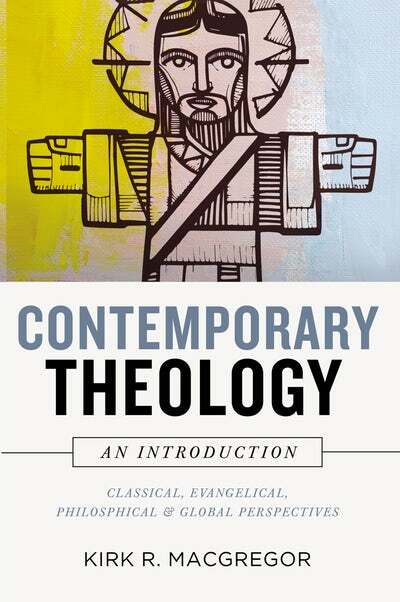 There’s nothing truly “contemporary” about theology. The roots of the subject are the individual doctrines which are, in one sense, unchanged since the resurrection. That foundation was laid a long, long time ago. But over history there have been movements, and changes in emphases, that have resulted in many different ideas about how we understand God and his ways. That’s true. If you find yourself constantly looking up theological references online, this print resource might prove to be handier. If you want to know about the basic doctrines of Christianity, you need a different book. Instead, author Kirk MacGregor wants you to be better informed about the things which crop up in blogs, forums and other venues for heated discussion. With an academic text like this, I haven’t read each individual entry, but focused initially on those movements I was already familiar with. It left me wanting to get the word about this great resource out there. The ones I did read I thought were fair and balanced, and unlike other books of this nature where different writers contribute different chapters, I was impressed that an individual author could be so well-versed on such a diverse group of theological perspectives. Thanks to Mark at HarperCollins Christian Publishing Canada for arranging for me to get a closer look at this book. What Does American Evangelicals Electing Trump Say About the Movement? In Canada we have no fixed Evangelical voting block. Consensus from my church peers on any candidate — municipal, provincial or federal — might be hard to come by. But if Evangelicals in the U.S. could elect one such as Donald Trump, what does that say about the movement as a whole? Could it happen with Canadian Evangelicals, or Australian Evangelicals? Skye Jethani probes the fallout from the November, 2017 election in an article too long to print in full here. But I want to share some highlights while strongly encouraging you to click the title below. Based on that wisdom, the marriage between American evangelicals and their leaders is heading for divorce. What began following World War II as a marriage between evangelical leaders like Graham, Ockenga, and Henry seeking a biblical form of culturally-engaged Christianity and ordinary Christians tired of fundamentalism’s strident separatism, has now splintered into a house divided. Since 81 percent of white evangelical voters lifted Donald Trump to the presidency, many of evangelicalism’s leaders are wondering what’s happened to the movement they are supposed to be guiding but hardly recognize anymore. For the last year they’ve been asking tough questions: Can evangelicals support immoral candidates and not lose their moral authority? How did “evangelical” go from a theological label to a political one? And, Who’s a real evangelical anyway? All of this soul searching and hand wringing, however, is unlikely to have much impact because, as Michael Lindsay has observed, “There is a growing divide between ordinary evangelicals and evangelical leaders.”…Those evangelicals who lead denominations, para-church organizations, relief and mission agencies, who write well researched books, and publish editorials in The New Yorker may walk the halls of power but they are not the voices actually shaping popular evangelicalism. In fact, there’s growing evidence that even local pastors are having less influence on the evangelicals filling their churches. …A 2016 survey by LifeWay Research found that despite claiming to be Christians, most Americans hold unorthodox and even heretical beliefs. That’s not very surprising. 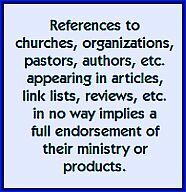 What is surprising, however, were the findings when LifeWay used strict criteria to isolate the responses of committed evangelicals. As reported by G. Shane Morris, “Everyone expected [evangelicals] to perform better than most Americans. No one expected them to perform worse.” LifeWay found that evangelicals were more likely than Americans in general to hold heretical beliefs about Jesus, the Trinity, and salvation. Based on the survey, if you’re curious about the Bible and Christian faith you’re better off asking a stranger on the street than the average churchgoing evangelical. Despite an emphasis on the Bible and teaching in most evangelical churches, and despite the avalanche of resources offered via evangelical media and publishing, ordinary evangelicals are not being shaped by the orthodox views held by the elite evangelicals producing this content. Furthermore, there’s evidence to suggest ordinary evangelicals are not adopting the views of their own pastors on key matters of doctrine either. Roughly half of evangelicals have dispensational beliefs about the end times. (Think Left Behind, the rapture, antichrist, etc.) While a much smaller percentage of evangelical pastors hold these views, and among pastors with seminary and theological training—the evangelical elites—the number drops even lower. So, the data suggests there are dramatically different sets of theological, cultural, and political views held by those leading evangelical institutions and those populating them. Of course, one should expect some distance between the views of leaders and followers within any group. After all, without a gap there is no where for leaders to lead. I suspect in the coming years there will be a reckoning. Apart from a dramatic realignment or unforeseen intervention, the center will not hold and the divide between elite and ordinary evangelicals will become an irreparable breach. Evangelical’s elites will find themselves having to choose between finding new pastures or maintaining their institutions by falling in line with, rather than shepherding, the sheep. As the divorce between elite and ordinary evangelicals becomes more likely, one question remains unanswered. Who will get the kids? Again, that was highlights; you’re encouraged to scroll back up and click on the title to read it all. You might want to send the link to friends as well. I received a copy of this in email this morning because I’m subscribed to Skye’s newsletter. Was the Reformation a Mistake? This recently-released book from Zondervan deserves an award for “Provocative Title of the Year” and I felt that while Reformation Day is still fresh in our minds, I would mention it here. Plus, this is, to the best of my knowledge anyway, a rather unique Christian publication. The full title is: Was the Reformation a Mistake? Why Catholic Doctrine is not Unbiblical. The author is Matthew Levering, a theology professor at Mundelein Seminary, University of Saint Mary of the Lake. In the interest of equal time, there is a Protestant response from theologian Kevin J. Vanhoozer who does research and teaches at Trinity Evangelical Divinity School. Each section begins with a simple one paragraph introduction which sets out the issue and also refers readers with less familiarity with what the Roman Catholic Church teaches to some primary documents. Following this is a summary of what the author views as Luther’s primary concern. The balance of each chapter is headed “Biblical Reflections” which aims to set out Biblical origins for the teachings which concerned Luther and concern many non-Catholics today. Of the book’s 241 pages (in the pre-publication version) Levering’s main text comprises 166 pages and Vanhoozer is given 41 pages for rebuttal. The latter sees the conflict existing not between Protestants and Catholics but between “catholicism and one particular tradition (Romanism)” which he seems to view as a theological pattern in which carefully vetted scripture passages are chosen because they lend credence to a pre-determined, Vatican issued theology. But the tone of his rebuttal is cordial. Full disclosure: I did not read every word. (Up to a certain point in writing his response, neither had Vanhoozer.) Some of this was above my pay grade, though it was published by Zondervan, not Zondervan Academic. I do not purport that this was written in my normal book review modus operandi. Rather, I intend to keep this on the shelf and refer to specific items in the list of nine as needed in discussions I have with Roman Catholics. I understand why the publisher issued the book under this particular title in this particular year, but I still found the title needlessly provocative. The book itself, I find fascinating. For publisher marketing info at Zondervan, Click this link. Thanks to Mark at HarperCollins Christian Publishing in Canada for an opportunity to examine this interesting book. The other night I was listening to yet another sermon from A.J. Sherrill at Mars Hill Bible Church in Grand Rapids. He put up a slide showing this picture, Trinity by Raffaella Lunelli — you can purchase a print at this site — and commented on how the figures are all looking at each other. …One possibility of redemption exists here if you wish to listen to the A.J. Sherrill sermon in question, so try this link, but it might have been the week before. Someone pointed out the coincidence (if indeed it is a coincidence) that a major motion picture about the Trinity is releasing on 3/3. That got me thinking that perhaps we could look back at this topic as it has been discussed here and at C201. Our sincerest effort to grasp the incomprehensible mystery of the Trinity must remain forever futile, and only by deepest reverence can it be saved from actual presumption. Col 1:16 It was by Him that everything was created: the heavens, the earth, all things within and upon them, all things seen and unseen, thrones and dominions, spiritual powers and authorities. Every detail was crafted through His design, by His own hands, and for His purposes. by His hand that ancient serpent—even as it attempted escape—is pierced through. and the face of the earth is made beautiful and is renewed. The article continues as a scripture medley… continue reading here. I believe in one God (ousia), who exists eternally in three persons (hypostasis) — God the Father, God the Son, and God the Holy Spirit — all of whom are fully God, all of whom are equal. For more on the idea of a hierarchy within the Trinity… continue reading here. 19 Therefore, go and make disciples of all the nations, baptizing them in the name of the Father and the Son and the Holy Spirit. [Jesus speaking] 26“But when the Helper comes, whom I will send to you from the Father, the Spirit of truth, who proceeds from the Father, he will bear witness about me. 33 Jesus has been given a place of honor at the right hand of God. He has received the Holy Spirit from the Father. This is what God had promised. It is Jesus who has poured out what you now see and hear. 14The amazing grace of the Master, Jesus Christ, the extravagant love of God, the intimate friendship of the Holy Spirit, be with all of you. 17 He came and preached peace to you who were far away and peace to those who were near. 18 For through him we both have access to the Father by one Spirit. Peter, an apostle of Jesus Christ, To God’s elect, strangers in the world … 2 who have been chosen according to the foreknowledge of God the Father, through the sanctifying work of the Spirit, for obedience to Jesus Christ and sprinkling by his blood: Grace and peace be yours in abundance. Also included in this list is the longer passage at I Cor. 12: 4-13. That’s pretty much the entire piece… read at source here. For that article… continue reading here. The glory of God is from everlasting to everlasting, but while the praise of the Trinity will have no end, it had a beginning. There was never a time when God was not glorious as Father, as Son, and as Holy Spirit. But there was a time when that singular glory (singular because, to gloss the Athanasian Creed, there are not three glorious, but one) had not yet disclosed itself so as to invite creatures to its praise. To join in the ancient Christian prayer called the Gloria Patri, directing praise to Father, Son, and Holy Spirit, is to come into alignment here in the world “as it is now” with triune glory “as it was in the beginning.” All theology ought to be doxology, but Trinitarian theology in particular is essentially a matter of praising God. This doxological response is the praise of a glory (ἔπαινον δόξης, Eph 1:6, 12, 14) that always was, and whose epiphany in time entails its antecedent depth in eternity. Those whom God has blessed with every spiritual blessing in Christ are summoned to join that praise: “Blessed be God the Father, who has blessed us in the Beloved and sealed us with the Holy Spirit of promise” (Eph 1:3–14, condensed). Christianity’s Diminishing Influence: What if We Were the Refugees? In eight years of blogging I’ve repeated many articles but this is the first time I’ve ever repeated a book review, especially one that appeared only 12 months prior. But as I was looking at these Pew Research stats, especially the one showing Christianity and Islam having relatively equal numbers in the year 2050 (based on current projections) I realized we are about to witness a massive paradigm shift. This book is therefore very timely, but without the fear-inducing sensationalism of mass-appeal titles. Although I worked for InterVarsity Press briefly several lifetimes ago, and have covered other IVP books here before, this is the first time I’ve attempted to review anything from the IVP Academic imprint. So let me say at the outset that perhaps I have no business considering scholarly titles here; however there is a personal connection that had me wanting to read this book, and that resulted in my wanting to give it some visibility here. Lee Beach was our pastor for nearly ten years, and one year of that overlapped a staff position I held at the church as director of worship. He came to us after serving as an associate pastor and then interim pastor of a church just 45 minutes north. He was young, passionate and everyone just called him Lee. Today, years later, when mentioning him to students in his university community, the honorific is always used, it’s Dr. Beach at McMaster Divinity School in Hamilton, Ontario, Canada where he serves as assistant professor of Christian ministry, director of ministry formation and teaches courses on pastoral ministry, mission, the church in culture and spirituality. The Church in Exile: Living in Hope After Christendom is made more accessible to those of us who are non-academics because of its timeliness. Because of immigration, the rise of secularism, and a decline in church membership and attendance, Christianity is losing both numbers and the influence that those metrics bring. In some communities already, Christians are no longer the majority stakeholders. From his vantage point in Canada where religious pluralism has been normative now for several decades, Dr. Beach has a clear view of where the U.S. is heading. From his background as a Christian & Missionary Alliance pastor, he also has a heightened awareness as to the status afforded Christianity in other parts of the world. The book is divided into two sections. The first begins in the Old Testament with a focus on those times God’s people lived in exile, or were scattered, particularly the narratives concerning Esther, Jonah, Daniel, and what’s termed the Second Temple period, where the community of the faithful seems to be diminished; a shadow of its former self. (Sound familiar?) From there, the book moves to the New Testament with particular attention to I Peter. In the foreword, Walter Brueggemann points out that while exiles may have a sense that the present situation is temporary, the Jewish Diaspora brought with it no expectation of returning home. In other words, their placement was what we would call today ‘the new normal.’ That so well describes the church in 2015. There is no reasonable anticipation that things will go back to the way they were. The second section builds on the theological framework of the first to turn our thoughts to the more practical concerns of being the church in the margins. How does one lead, and offer hope in such a period of decline? How does our present context govern or even shape our theological framework? How does a vast religious mosaic affect evangelism, or one’s eligibility for inclusion or participation in church life? 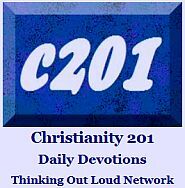 How do followers of Christ maintain a distinct identity? It should come as no surprise that some of this section cites practitioners of what has been termed the missional church movement. “But wait;” some might say, “We were here first.” While that may not be exactly true, the spirit of it is well entrenched, and early on we’re reminded that you can experience the consequences of exile even in your own homeland. You don’t have to sell your house to feel you’ve been displaced, and that’s the reality that will impact North American Christians if it hasn’t touched some already. In the end, despite my misgivings about wading into academic literature, I read every word of The Church in Exile, and I believe that others like me will find this achievable also, simply because this topic is so vital and our expectation of and preparedness for the changes taking place are so necessary. The Church in Exile is now available in paperback (240 pages) from IVP and wherever great books are sold (click the image above for a profile) and retails at $25 US. There is a striking difference between heresy and heretics, and as the question above illustrates, much depends on where you’re standing when you ask it. Theology and Ethics professor Roger Olson has written a book which occupies a middle ground between the usual academic text and a popular survey of cults and isms. Counterfeit Christianity: The Persistence of Errors in the Church (Abingdon) makes examining the plethora of Christian beliefs and doctrines accessible to the common parishioner, but is in no way light reading. Organizationally, the book begins with two chapters outlining heresy and orthodoxy, five chapters dealing with what we might consider classic heresies, and three chapters dealing with modern, unofficial heresies; those not condemned by a particular historic council. The only way to have it in its full and true reality is to delve deeply into the Bible and Christian history by studying the whole Bible, not just passages that support our values and desires, and all the great voices of the Christian past – especially those who suffered for swimming against the stream of their cultures. Overall, I feel this title is something needed in the religion/apologetics/church history book market at this time. Again, this is not a textbook — though it could certainly serve as an undergraduate text — but has great potential for the average churchgoer who wants to go deeper into an understanding of false doctrine in the Christian era. This link to the Phil Vischer podcast with co-host Skye Jethani starts at the place (27:12) where Christianity Today’s Andy Crouch explains why N.T. Wright was on the cover. Okay, actually it doesn’t, even though we used three entirely different codes. But we weren’t really intending to slight Christian Taylor, who had to give up her seat for Andy at the 27:12 mark. Why can’t Phil afford another chair? Anyway, the purpose is to discuss how N.T. Wright reads the other N.T., the New Testament in general, and the Apostle Paul in particular. That was a long, long time ago. Fast forward a few more years, and I heard the same pastor’s name mentioned in terms of “dispensational theology” (a term I was yet to fully grasp) and again, his antagonism toward the Charismatic movement in general. All this to say, by way of introduction, that this week’s Strange Fire Conference comes as no surprise, either to me or to many others. This is, in every sense, the conference John MacArthur has been building toward for a lifetime; it is his legacy culminating 50 years of ministry. Hyperbole has its place, and Jesus Himself used a variety of rhetorical devices to get His hearers’ attention. But according to the tone and tenor of the conference we’ve been hearing about this week, and in prior promotional videos, this is a slap in the face to each and every one of our Pentecostal and Charismatic brothers and sisters. As one writer stated, with broad brush strokes, MacArthur paints a picture of Charismatics that is as anchored in reality as it is to state that the Westboro folks are representative of all things Baptist. I should say that not everything online presupposes MacArthur’s error in promoting and presenting this conference. 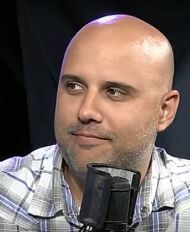 Frank Turk at Team Pyro comes off his hiatus to basically challenge any and all among the Charismatic community to a spiritual duel of sorts, to take place on the field of podcast audio. And if you want balance, I find Tim Challies gets into great detail with his live blogging of each speaker. 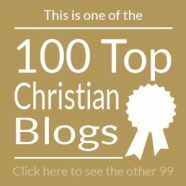 I have to confess I have not read all Tims Challies’ exhaustive articles in full, but with him and the other writers linked here, I would encourage you to read the comments as well as the articles. There will be more. The conference runs all day today, 9:00 AM to 7:00 PM. You can watch some of the live stream at this link.